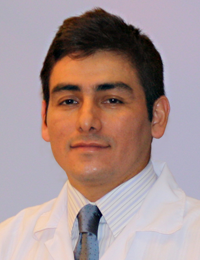 Dr. Francisco Miranda's gentle nature is just the right medicine for patients desperately seeking a trusted periodontist. What are the warning signs I need to see a periodontist? Periodontal disease can range from simple gum inflammation to serious disease that results in major damage to the soft tissue and bone that support the teeth. While periodontists have not found a cure for the disease, it can be stopped, slowed or become worse depending how you care for your teeth from this day forward. In order to know if you have the disease, a simple visit to your periodontist will provide you with a proper diagnosis. The cause of periodontal disease is bacteria, along with mucus and other particles forming a colorless plaque on the teeth. While brushing and flossing help get rid of plaque, in time it will harden and form tartar that brushing and flossing cannot remove– if the plaque is not removed with an aggressive oral hygiene regimen or a periodontist. Because brushing and flossing only allow you to clean the outer areas of your teeth and gums, you'll need a periodontist with tools and expertise to clean the root of the teeth and underneath the gums. Periodontal disease causes major bodily infection, which when left untreated can result in the loss of teeth, heart and respiratory diseases, stroke, pancreatic cancer, digestive disorders, osteoporosis, diabetes and even death. Proper dental and periodontal care can prevent many of the devastating effects associated with gum disease. Brushing and flossing alone are not enough to treat or manage this disease. Treatment most often requires the expertise of a periodontist who knows how to get underneath the gums and remove the bacteria and diseased tissue. How is Periodontal Disease treated by a periodontist? During your appointment your periodontist will examine your head, neck, jaws, mouth, throat, teeth and gums. Your periodontist will order x-rays a determine your diagnosis and appropriate plan of action. Because the disease is not curable, it requires a lifetime of management a care by a periodontist. Seeing your periodontist every three months will help prevent the advancement of the disease. Scaling and root cleaning by a periodontist to remove bacteria located behind the gums will detour from more serious infection. In advanced cases a periodontist will perform corrective surgery such as bone or soft tissue grafting in order to preserve the health of the teeth. How would my periodontist have me care for my gums and teeth? Brush and floss teeth and gums gently, but thoroughly after every meal. Visit your dentist and/or periodontist every 3-6 months.